The ocean remains one of the most expansive, mysterious and diverse places on Earth. Unfortunately, it is being threatened by pollution from people on land and from natural causes. Marine life is dying and, as a result, the whole oceanic ecosystem is threatened simply by various sources of pollution. If we are to preserve our oceans and their natural beauty, drastic measures have to be taken to combat this pollution and keep what we hold most dear. Before, it was assumed that because the ocean was so big, vast and deep, the effects of dumping our rubbish into the sea would only have minimal consequences. But as we have seen, this has proven not to be the case. Whilst all four oceans have suffered as a result of human consequence, it has accelerated in the past few decades. Oil spills, toxic wastes, floating plastic and various other factors have all contributed to the pollution of the ocean. Plastic is the most common element that is found in the ocean. It is harmful for the environment as it doesn’t break down easily and is often considered as food by marine animals. The biggest source of pollution in the ocean is directly from land based sources, such as oil, dirt, septic tanks, farms, motor vehicles. Thousands of tons of waste and rubbish are dumped into the ocean on a daily basis—1.4 billion to be precise! Over one million seabirds are killed by ocean pollution each year. Three hundred thousand dolphins and porpoises die each year as a result of becoming entangled in discarded fishing nets and one hundred thousand sea mammals are killed in the ocean by pollution each year. Even though much of the rubbish and waste dumped into the ocean is released hundreds of miles away from land, it still washes up on beaches and coastal areas, and affects everything in between. Every marine animal is affected by man-made chemicals released in the water. There is an island of rubbish twice the size of Texas inside the Pacific Ocean: the North Pacific Gyre off the coast of California is the largest oceanic rubbish site in the entire world. There, the number of floating plastic pieces outnumbers total marine life six to one in the immediate vicinity. Oil is the fastest source of deterioration to the ocean, being far more harmful than rubbish and waste. However, only a small percentage of oil (around 12%) dumped in the ocean is as a result of actual oil spills. Most oil causing harm in the ocean is a result of drainage from land. Oil spills suffocate marine life to death, and leads to behavioural changes and a breakdown in thermal insulation to those that do survive. It essentially changes the entire ecosystem of an affected area, such as a long coastline or deep ocean. Toxic metals can destroy the biochemistry, behaviour, reproduction, and growth in marine life. Plastic debris can absorb toxic chemicals from ocean pollution, therefore poisoning whatever eats it. In fact, plastic pollution is one of the most serious threats to the ocean. Plastic doesn’t degrade; instead, it breaks down into progressively smaller pieces that never disappear. They then attract more debris. It poses a significant health threat to sea creatures and to the entire marine ecosystem. Overall, plastic is the number one source of pollution in the ocean. Not all sources of contamination in the ocean come from oil, rubbish and solid waste. The dumping of radioactive waste from nuclear reactors, industrial sites, such as heavy metals and acids, and drained sewage are also heavy contributors to pollution. 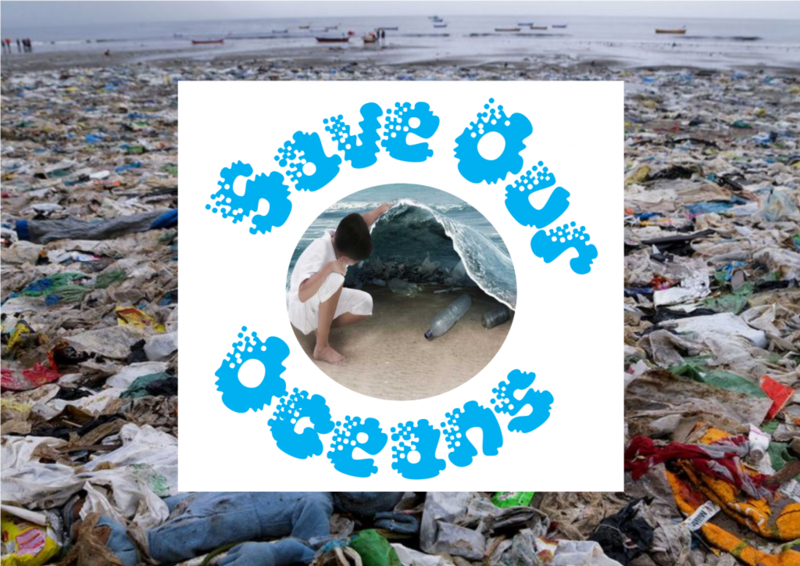 The truth is that billions of tons of litter ends up in the ocean each year, and it is substantially more than the 250 million tons of rubbish generated. This has led to a gradual loss of marine life and an increase in the number of endangered species. Sewage leads to the decomposition of organic matter that in turn leads to a change in biodiversity. Even if the ocean’s ecosystem isn’t destroyed entirely, it is still changed drastically, and usually not for the better. Fertilizer runoff creates eutrophication that flourishes algal bloom (rapid increase or accumulation in the population of algae in aquatic systems), which in turn depletes the oxygen content in the water that affects marine life. Small animals at the bottom of food chain absorb the chemicals as part of their food. These small animals are then eaten by larger animals that again increases the concentration of chemicals. Animals at the top of the food chain have contamination levels millions of times higher than the water in which they live. People get contaminated easily by eating contaminated seafood that can cause serious health problems, from cancer to damage to the immune system. Rubbish, such as plastic bottles, aluminium cans, shoes, packaging material – if not disposed correctly, can reach the sea and the same rubbish can again reach the sea shore, where it pollutes beaches and affects local tourism. The salty water of the ocean has the capability to move pollutants from the ocean into coastal freshwater making wells and groundwater contaminated. Chemicals from industries and mines can also enter the ocean through land based activities. They can seep through soil, water or land, either during their manufacture, use or accidental leaks. Once they’ve entered the ocean currents, they travel hundreds of miles away. As 70% of the earth is covered with water, people actually assumed that all pollutants would be diluted and would simply disappear. The reality is that they haven’t and their effects can easily be seen as they enter the food chain. Until the 1970s, chemicals and rubbish was deliberately dumped into the oceans and became common practice for disposing everything, including pesticides and radioactive waste, assuming that it would dissolve to safe levels. In several parts of the world, such as the Gulf of Mexico and the Baltic Sea, eutrophication has created enormous dead zones. Even today, in many parts of the world, sewage water is discharged in the ocean – untreated or under-treated. This has a serious effect on marine and human life and can also lead to eutrophication. Have a look at the videos below. They provide some interesting food for thought! What Can You Do to Reduce Plastic Pollution in Our Oceans? Here are a few suggestions that every family can do to reduce our dependence on plastic and other pollutants. Stop using plastic carrier bags. Try using shopping bags made of cloth. You can find them in all imaginable shapes and designs! 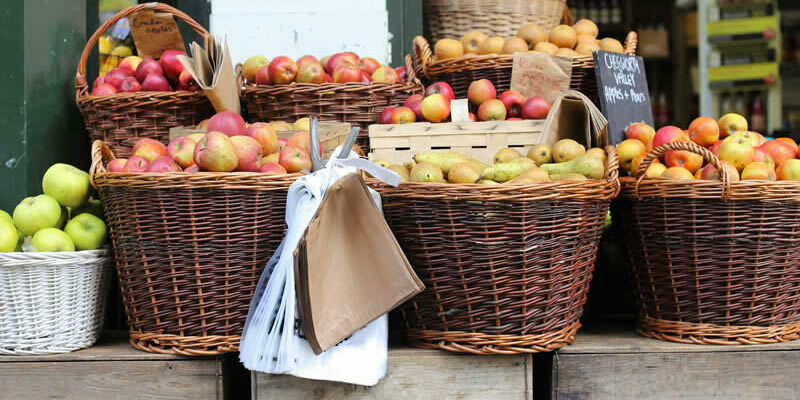 When buying fruit and vegetables in supermarkets, instead of using the plastic bags provided, buy string bags online (they cost less than £2 each on Amazon) and use those. They never wear out. Avoid using single-use items such as plastic cups, straws and cutlery. Get yourself a thermos or other glass container to use when getting a coffee or smoothie to go! Avoid purchasing over-packaged goods wrapped in layers of plastic. Don’t buy plastic bottles, drink tap water or carry your own reusable bottle. The average person uses about 167 water bottles of which only 38 are recycled. Try to buy goods that are not packaged or made from plastics. For instance, minimise plastic packaging in your groceries by substituting condiments in plastic containers to those in glass jars, or in the case of larger items, opt for those that are primarily made from other materials, for instance garden furniture made of wood rather than plastic. When you have to buy something made from or packaged in plastic, try to pick something made from recycled or recyclable plastic. You can easily check this by looking at the product’s label. If you are buying something made with bio-based plastic, make sure that it has been made in accordance with the highest verified sustainability criteria. This should also be marked on the product’s label. After the plastic has really outlived its use, recycle it! Recycling plastic saves a lot of resources. Opt for clothing made from natural and not synthetic materials. This will not only be a signal to major clothing companies to eliminate plastic where possible but will also minimise the particles of microplastic that escape from synthetic materials to enter our environment. Particularly avoid fleeces and fleece-lined clothing. Stop using cosmetic products containing plastic microbeads which find their way into our water and seas. Plastic ingredients are applied in a variety of products such as deodorants, shampoos, moisturizers, shaving creams and sunscreens. A typical exfoliating shower gel can contain roughly as much microplastic in the cosmetic formulation as is used to make the plastic packaging it comes in! Read the labels and pick products (usually organic) that don’t contain polyethylene terephthalate (PET), polyethylene (PE) or polypropylene (PP). Reduce the number of takeaways and deliveries, as they use a lot of packaging and single-use items. Join a beach or other plastic clean-up in your local area. A total of 12.2 million tonnes of plastic enters our marine environment each year, you can do something to help with that! Support organisations that work to reduce plastic pollution by donating money or signing petitions for measures to eliminate plastic pollution. Instead of a plastic toothbrush, use a bamboo one. You can even make your own toothpaste out of coconut oil, baking soda and peppermint oil! There are lots of bamboo grooming aids out there. Have a look. Once you have bought a plastic item, try to re-use it in your household – this will also be exciting for any younger members of the family interested in arts and crafts! For example, you can use plastic bottles or containers as paint potsRepair or sell your electronic equipment rather than throwing it away. This way you could even make some money from selling your old pc! Change laundry capsules in plastic tubs for washing powder in a cardboard box. Buy loose fruit and veg, not pre-packed. Ditch liquid soap and shower gel for bars of soap. Change disposable plastic party cutlery for normal or wooden cutlery and plastic plates and cups for paper ones. Swap plastic milk and juice containers for glass ones delivered by your milkman. Have a look at the video below. This is the story of one New Yorker, Lauren Singer, who has been living with zero waste for four years now. In two years, she only produced enough rubbish to fill a 16 0z glass jar. Here’s how she did it. This video provides a comprehensive understanding of how plastics is made and came to form such a huge part of modern-day living. It also details the progress being made in science to deal with the plastics problem. 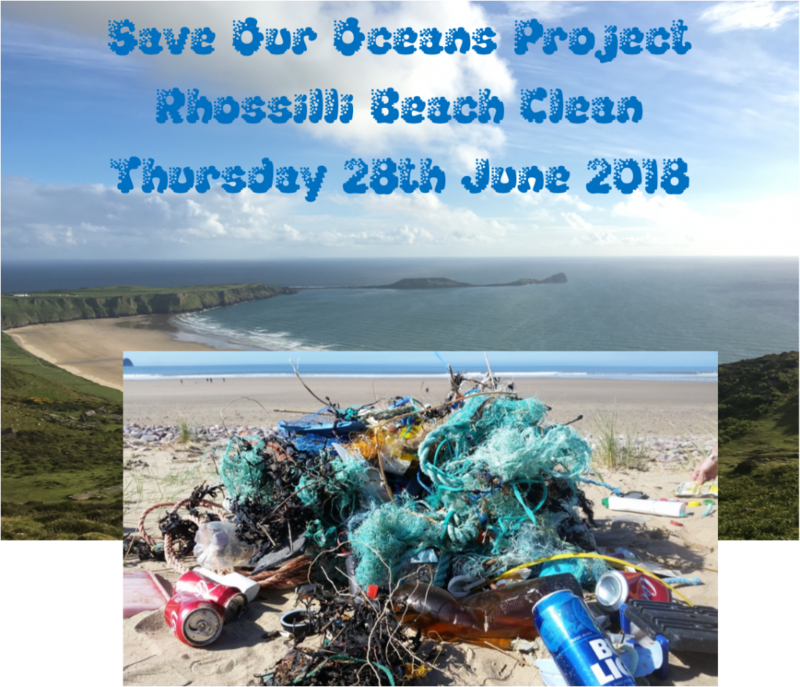 On Thursday 28th June, Year 7 and 8 students have the opportunity to go to Rhossilli beach on the Gower Peninsular as part of the Save Our Oceans Project. As well as the beach clean, students will take part in scientific experiments testing the plastics they find, learn how to create sand sculptures and have a go at some creative writing. And, of course, there’ll be plenty of opportunity to play some beach games. Students should not wear school uniform but we recommend they wear lightweight, comfortable clothing suitable for a hot day on the beach. The cost is £10.00, payable either via ParentPay, cheque or cash. Cheques should be made payable to Crickhowell High School. A copy of the trip letter and consent form may be downloaded below. Payment and forms must be returned by 11.30 am on Wednesday 27th June 2018 in order to secure a place on this trip.